Before heading to the church we had set aside some time for pictures with immediate family and my bridesmaids and for T.J. with his groomsmen. First though, I had asked to have a "first look" with my dad. 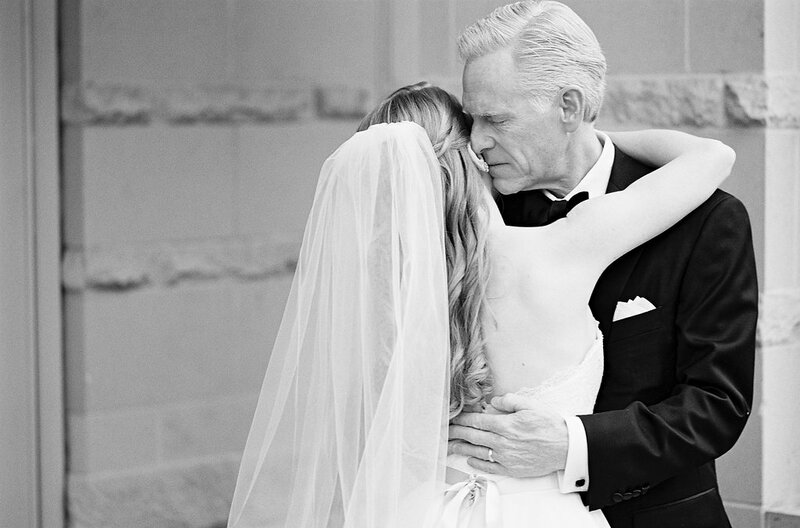 I still wanted to save my first look with T.J. for the church but I knew my dad needed to have a moment just the two of us before he had to walk me down the aisle. 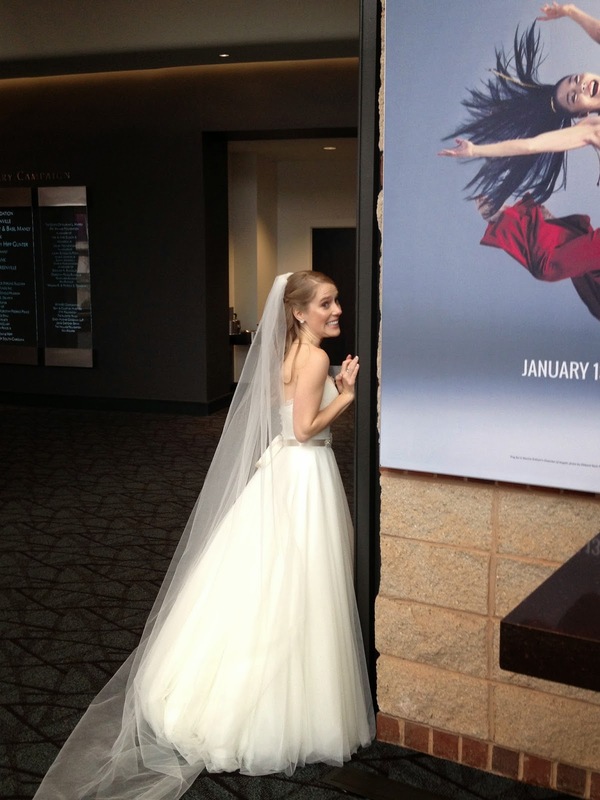 He had yet to see my dress so the photographer had him stand just outside our hotel with his back to the door. My mom and my bridesmaids gathered just inside the glass windows to catch his face and I went out to meet him. Tapping him on the shoulder I could see him bracing himself and I had to do the same. Once we pulled it together, we grabbed umbrellas from the concierge of the hotel since it was pouring down rain at this point. We had planned to take photos outside but we rolled with the punches and instead hurried across the street to Peace Center which is a performing arts building in town with a big glass atrium with tons of natural light. I know everyone prays for sunshine on their wedding day, and while I definitely could have done without the rain, the gray skies and the overcast light really made for beautiful light and we didn't have to worry about squinting. Isn't my mom's dress fantastic? She found her dress the same day that mine arrived in to the boutique, which I think was fate. 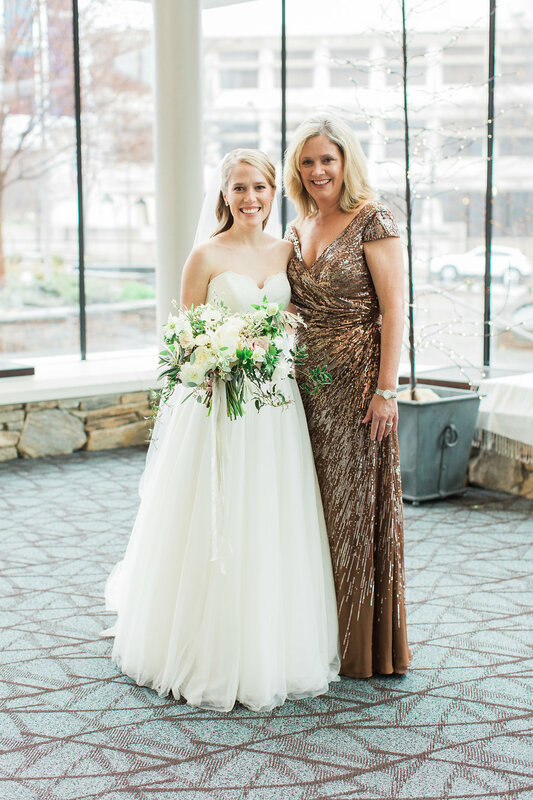 Have you ever seen a more beautiful mother of the bride gown? I love that it perfectly complimented our wedding colors but that she still stood out, as she should! Because how many times do your daughters get married?! The trolley and limo pulled in just in time to take everyone to the church. This is where I had to be a little sneaky because I didn't want T.J. to catch a glimpse of me while he was getting on the trolley. So my parents sister and I hung back while the bridesmaids and groomsmen boarded the trolley (green of course, in keeping with the theme) but I couldn't help sneaking a peak myself and my mom caught me in the act. 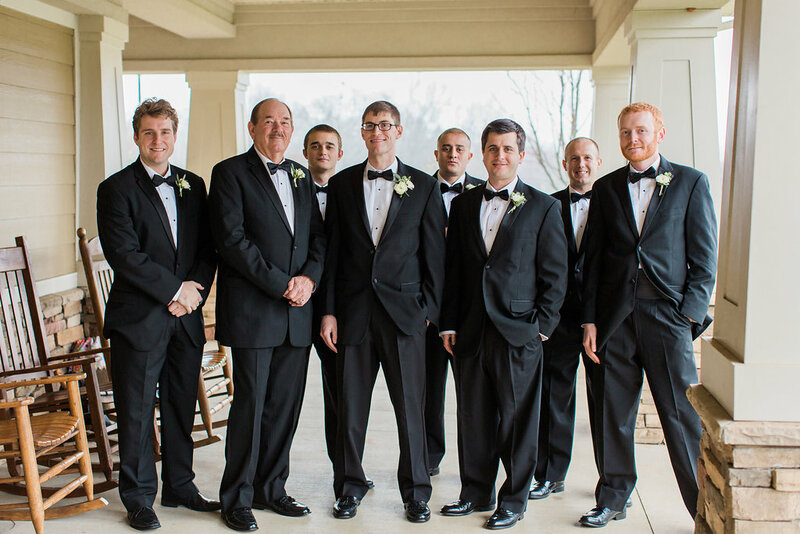 Once the bridal party was on their way to the church and T.J. was hidden out of sight, my mom, dad sister and I got in our limo and headed off. I wanted to have this last quiet moment with just my family, just the four of us, before it grew one bigger and everything would change. 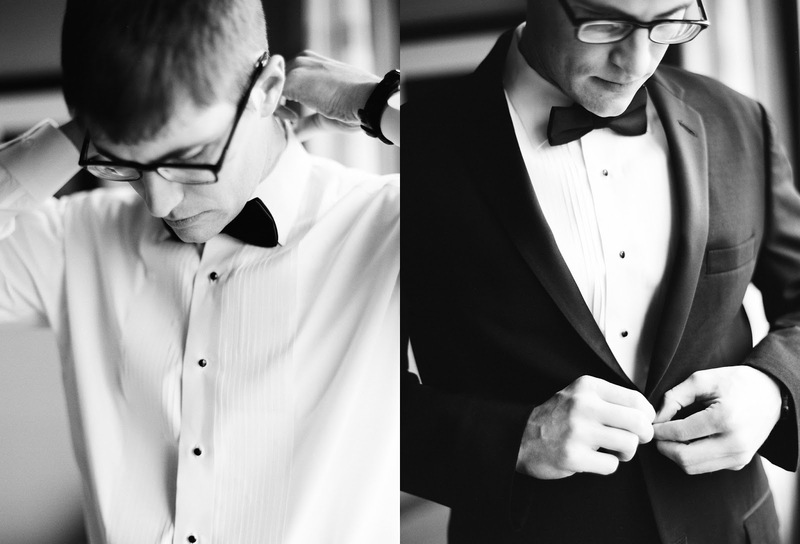 I am loving your recap and the pictures are gorgeous! I especially love the flowers, they are so soft and flowy (not a word, I'm sure) and your bouquet fits your proportion perfectly. It's impressive without looking too big for your small stature. The look on your dad's face is precious. What a sweet moment for you all. 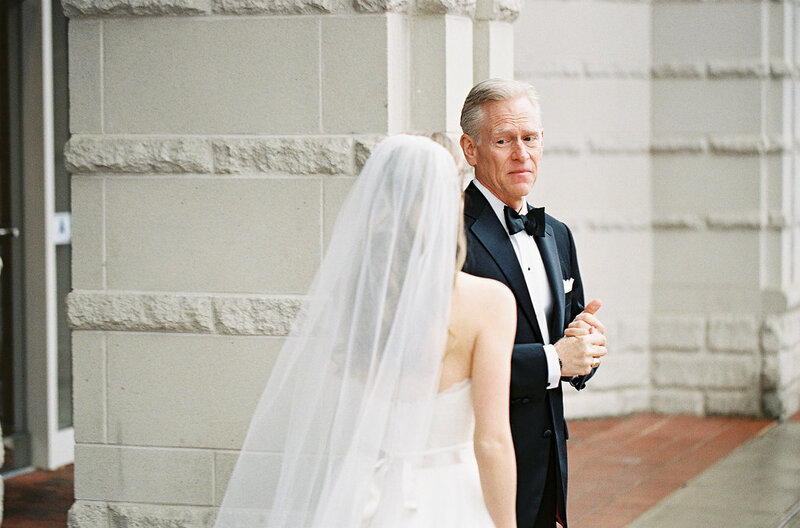 The look on your dad's face is such a treasure. 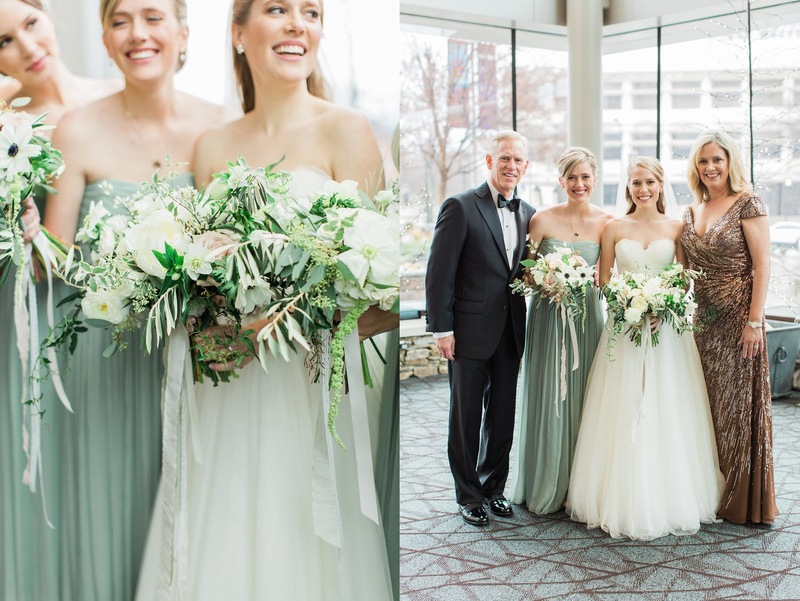 Your photographer did such a great job of capturing the emotions of the day! And, yes...your mom looks fabulous! Such a perfect dress for her and for that special day! 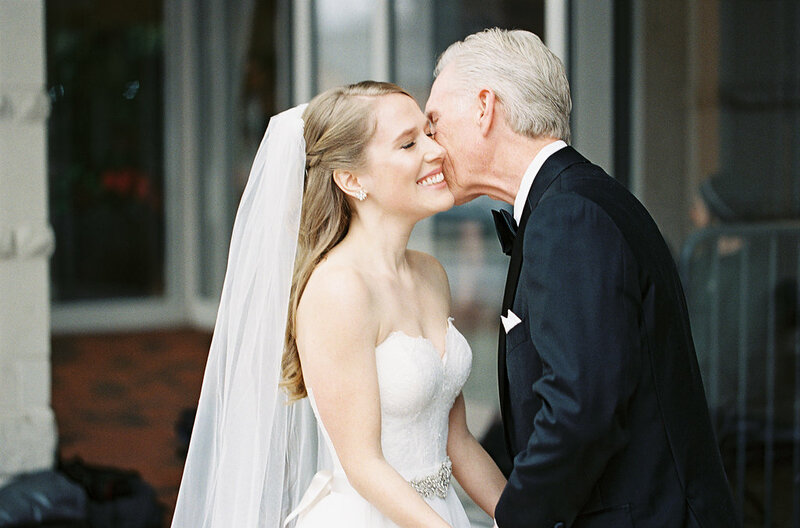 Oh, what a special moment with your Dad! 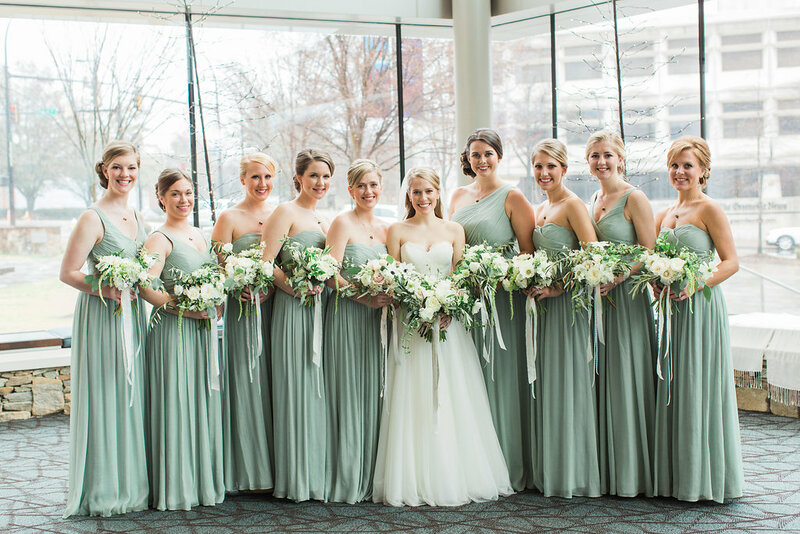 Love your bridesmaid dresses, so pretty! So enjoying the recap of your lovely wedding. I second everything Carrie said.